“Well after many weeks of awaiting confirmation, I am pleased to say that about a week ago it was confirmed that Stagecoach South West Volvo B6LE 31701 P701BTA will soon be passing into my ownership for preservation. 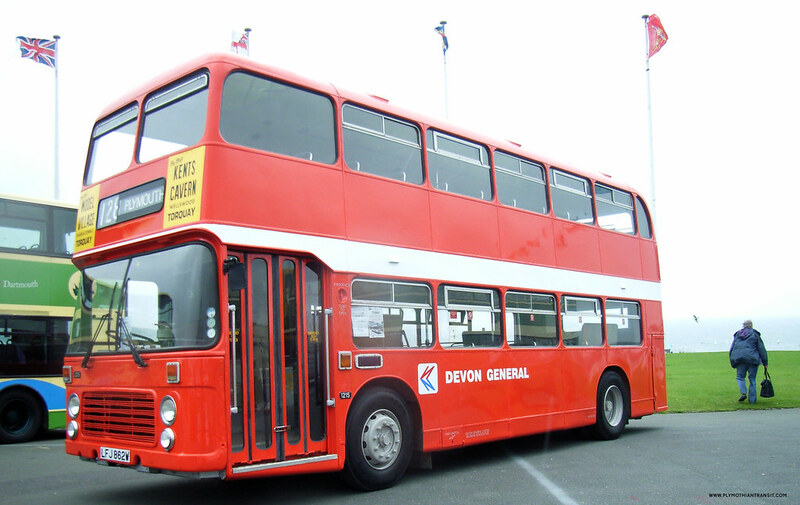 Some of you may or may not be aware that I remember these when delivered new, seeing them parked in the depot in Exeter complete with the wrapping on the floors, no ticket machine, brightech test destinations displayed etc etc, I also drove them for a few years when new on the 12 route in Torbay. I believe these were the first low floor vehicles delivered to Stagecoach Devon, the next one was the Dart R751BDV, so the first of the batch really did need to be saved for preservation, and I am very pleased that she has come to me, the plan will be for her to receive Stagecoach stripes livery as she carried when new, also the Stagecoach EasyRider branding, as some of you will know my restorations are usually quite detailed, so I wont be happy until she is exactly as I remember her, i.e. ticket machine, cash tray equipment, internal lettering, external lettering etc will all be as accurate as possible. Overall, as she has only been with Stagecoach locally, she is in very original condition, she has a full set of virtually new grey and orange striped seats, she has been refloored and new stagecoach style lino applied, this will be returned to the original orangey/red with a slight shiney fleck in it, a little bit of panel work and tidying up as well as a damn good clean and she will be ready for paint. Anyway, all being well the paperwork will be completed this week and she will return to her new home in Torbay, this winter will see the return to the stripey livery. I will let you all know that she makes it home safely and I would like to put on record my thanks to Stagecoach South West for the help they have given with regard to 701. James is well known on the preservation circuit as is his attention to detail so we have to look forward to seeing her back in the stripey livery. For a perfect example of what James can do you only have to look at Bristol VRT 1215 looking incredible for a thirty year old! With the traditional weekend fair due after the Easter break, the majority of the town's Beach Coach Station was taken over by vehicles and caravans owned by the attractions as a temporary store/camp site East Norfolk Bus Blog !NEW!